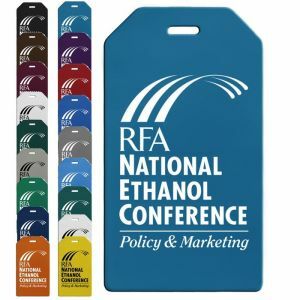 Customized luggage tags in all styles, colors, and sizes - shur-lock, oversized tags, vinyl tags in all colors, luggage wraps, heavy duty tags, luggage straps, and many more - we have printed luggage tags and custom luggage wraps in myriad styles and colors to fit your every need. 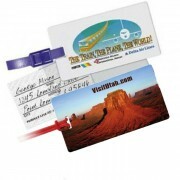 Every single promotional tag can be imprinted with your logo, text, artwork, or design. 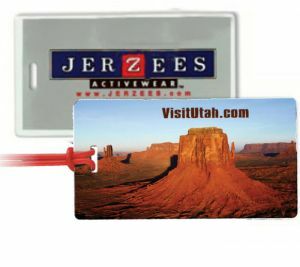 Buy top quality personalized luggage tags with us at cheap wholesale prices in bulk today. Most of our wholesale tags are printed and shipped out from within the USA! 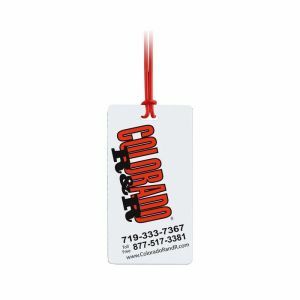 Imprinted Luggage Tags Customized for Any Promotional Campaigns. Cheap Prices. 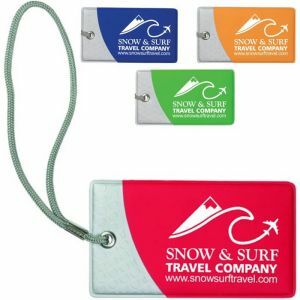 Promotional vinyl luggage tags and other travel tags are a sure way to grab attention at any tradeshow, event, or campaign of yours. 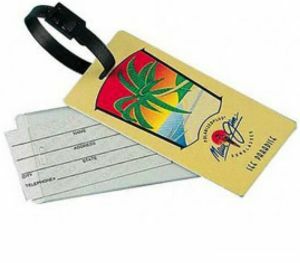 Increase your sales with our huge collection of carefully selected customizable luggage tags that will make your company or event so memorable. 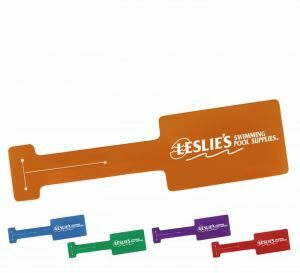 Our branded luggage tags, wraps, and straps are appropriate for so many occasions and events! 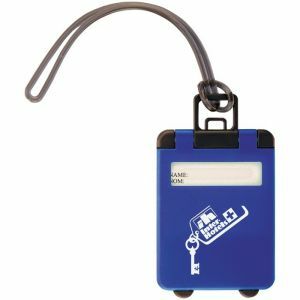 They are great promotional ideas and are extremely popular with many of our clients in industries such as airlines, travel agencies, advertising, hotels, construction, real estate, pet stores, design, restaurants, hair salons, beverage companies, etc. 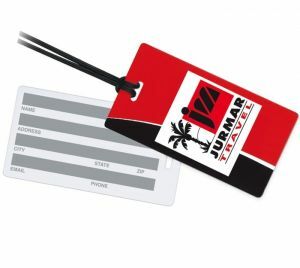 Your target audience will value these customized luggage tags and your brand name will always be at the top of their minds. 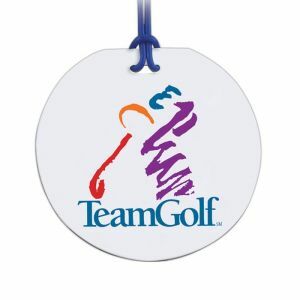 Our vinyl tags are mostly made in the USA, while all other tags are printed and shipped out from within the USA. 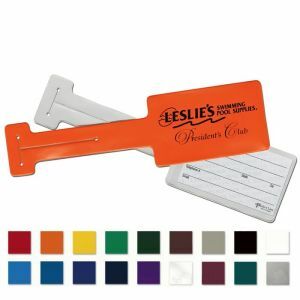 Be sure to click on each of our printed tags to check them out in greater detail. 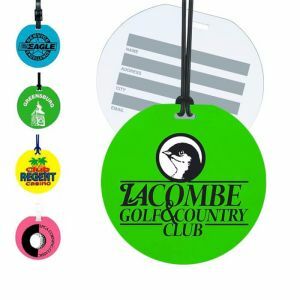 Our tags come in all solid and translucent colors like orange, green, purple, blue, white, clear, pink, navy blue, and even in neon colors. 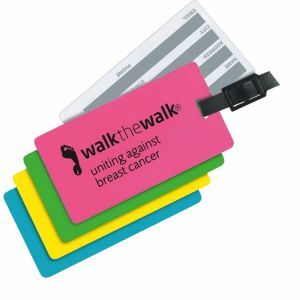 We also have them in all styles such as round and rectangular travel tags, tags that allow you to write on back or slip in a businesss card on the reverse side, luggage wraps, luggage straps, and many more. 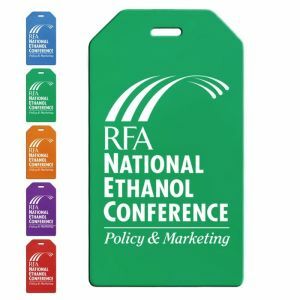 Many of our luggage tags also allow for full color printing, making your logo, design, or artwork more striking than ever. 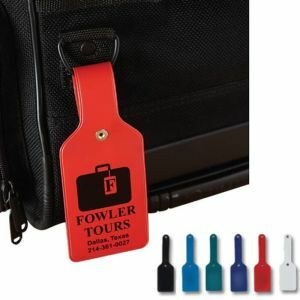 Order your logo luggage or travel tags from us today and see your brand soar! Our expert customer service reps are always ready to help you and walk you through your order from start to finish. 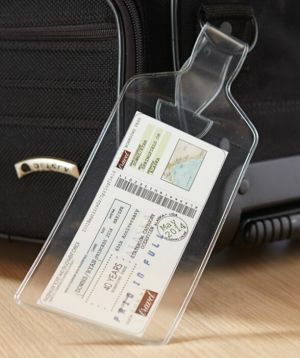 You will be delighted with our personalized luggage tags. 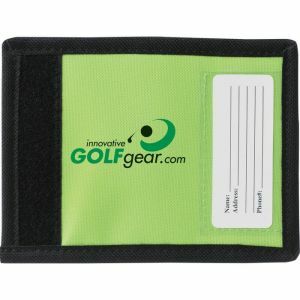 Order worry free today - great quality print travel tags at cheap prices - and see your brand name take off!